I have tried to make bamboo coal by using a new stove. It is called “making coal without smoke”. Actually it is not official name. I made it up. 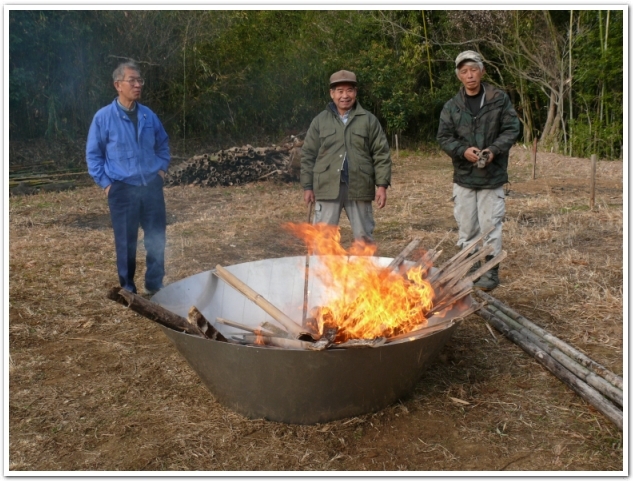 It is 無煙炭化器(Muentankaki). 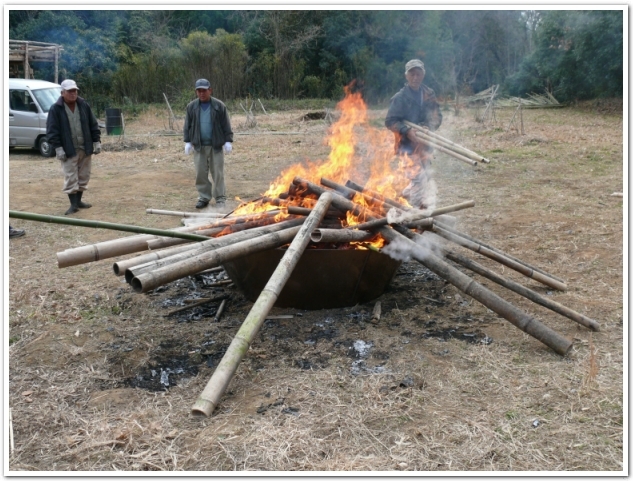 Usually, it took one day for making. 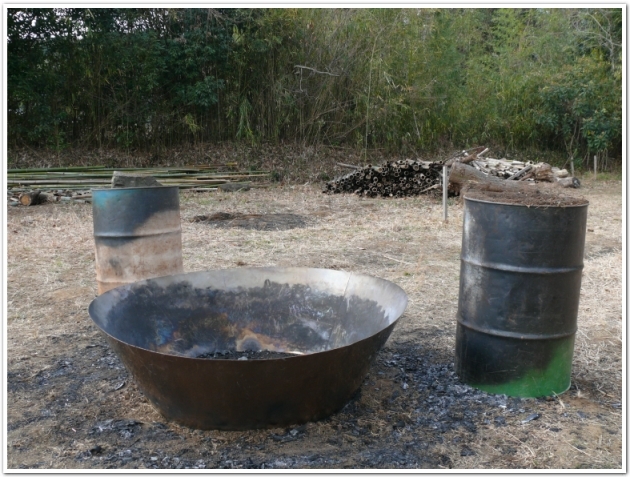 But this time takes about one hour to make 400 liter for two drums. It works very well. Old stove takes long time but it makes good quality coal. New stove can make easy coal that is for agriculture and animal industry.